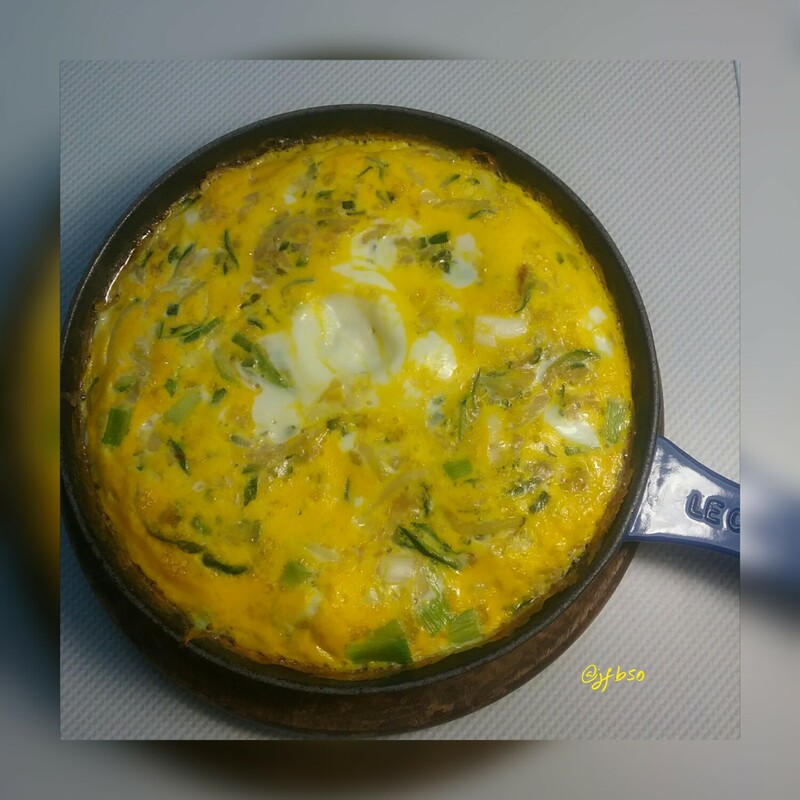 Courgetti, spring onion and cheese frittata | Jo's food bites. Perfect for a light supper on a hot summer’s day 🙂 . The wonderful thing about this dish is that it is delicious both hot and cold. Gently fry the courgetti and onions for a couple of minutes. Add the grated cheese and beaten egg. Put the pan in the oven for 10 – 15 mins until the frittata is just set.